Turn your collection into the Green Hill Zone! The 1991 Sega Genesis Sonic the Hedgehog video game is getting Pop! Vinyl treatment. 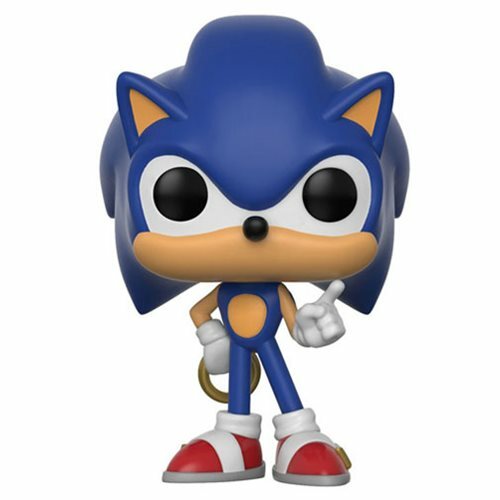 This Sonic the Hedgehog with Ring Pop! Vinyl Figure measures approximately 3 3/4-inches tall and comes packaged in a window display box. Ages 3 and up.